West Windsor, N.J. – Mercer County Community College will honor the educational legacy of Dr. Beverly A. Richardson, former college provost, dean and vice president, by dedicating the Dr. Beverly A. Richardson Learning Center at the James Kerney Campus on Friday, Feb. 25. The event will feature the growth and historical impact of the downtown Trenton campus, and plans to expand services there. Area dignitaries and members of the college community will gather in the center, located on the third floor of the James Kerney Campus, from 2 to 4 p.m. The campus is located at 102 North Broad Street in downtown Trenton. Serving as a central hub for a variety of educational services for Trenton residents, the James Kerney Campus has grown steadily over the past two decades. 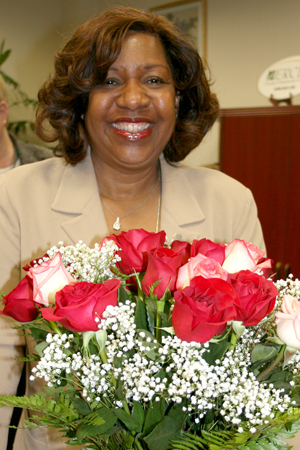 Dr. Richardson, who retired in 2009, was a driving force behind its expansion of services.During her tenure the student population more than doubled. She made it her personal mission to ensure that minority youth in Trenton were afforded the same opportunities to pursue higher education as their suburban counterparts. Richardson’s brainchild, the Learning Center, now serves as the center of educational services at the campus. It provides 70 computer work stations for student use, tutoring services, academic testing, faculty advisement offices, media services, traditional and “smart” classrooms and a classroom with interactive technology that enables professors to teach students at both campuses simultaneously. Dr. Richardson earned her bachelor’s in sociology from Norfolk State College, Norfolk, VA, her master’s in urban education from Simmons College, Boston , MA and her doctorate in higher education administration from Boston College, Chestnut Hill, MA. She continues to work actively in Trenton and nationally, serving on many boards and commissions, including the national College Board and the Robert Wood Johnson University Hospital Board. She presently serves as interim vice president of academic affairs at Burlington County College. The college's roots begain in Trenton in 1890 as The Evening Drawing School, and today the James Kerney Campus serves the educational needs of thousands of Trenton area residents. In addition to offering Associate degrees in Liberal Arts and Criminal Justice, and General Education and Adult Basic Education programs, the James Kerney Campus houses the English Language Institute, the Career Training Institute, and Youth College, which provides year-round academic enrichment programs and summer programs for students from the Trenton public schools. The event is open to the public with an RSVP required by Feb. 18 to Monique Richardson at (609) 570-3160 or e-mail richardm@mccc.edu.